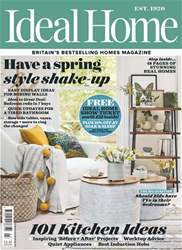 (0 Customer Reviews) | Write Review 12 issues per year Ideal Home is Britain's best-selling interiors magazine, packed with ideas to help you create your own perfect home. Covering every aspect of contemporary living, each issue includes beautiful budget-friendly decorating ideas; inspiring kitchen, bathroom and property makeovers; simple home advice and tips, and our pick of the very best new products and home trends. Looking for Ideal Home in print? Unfortunately pocketmags.com does not sell print copies of Ideal Home, but all is not lost. Our partner at magazine.co.uk sells print subscriptions at the best prices online. Ideal Home is Britain's best-selling interiors magazine, packed with ideas to help you create your own perfect home. 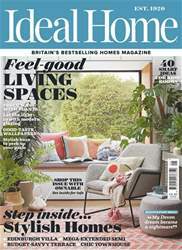 Covering every aspect of contemporary living, each issue includes beautiful budget-friendly decorating ideas; inspiring kitchen, bathroom and property makeovers; simple home advice and tips, and our pick of the very best new products and home trends. 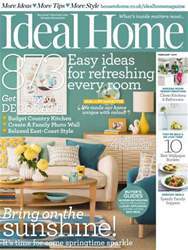 You'll receive 12 issues during a 1 year Ideal Home magazine subscription. 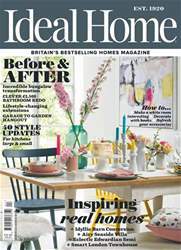 You'll receive 12 issues during a 1 year Ideal Home magazine print subscription.